A beautifully designed landscape contributes to a better lifestyle, more desirable environment, and tighter bond among your family and friends. In order to have a remarkable landscape, it is important that you work with a landscaping company with the experience, expertise, and knowledge not only in design but more importantly in landscape installation. Here at Gilgert's Landscaping, we aim to provide you with outstanding landscape that you can be proud of by using quality materials and ensuring superior craftsmanship. We know that even the most beautiful landscape design plan will be futile if there is no proper installation. Given this, we are determined to provide you with excellent results through our skilled and knowledgeable workers and proficient horticulturists. 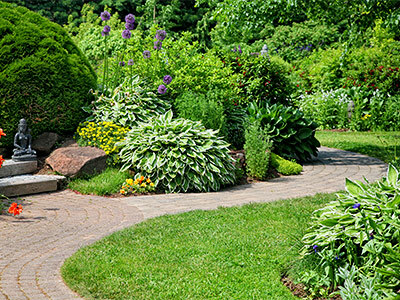 With our landscape installation services, we are confident that our best landscape workers can make your dream landscape a reality. Design analysis - With every design that we make, we always consider your benefits. 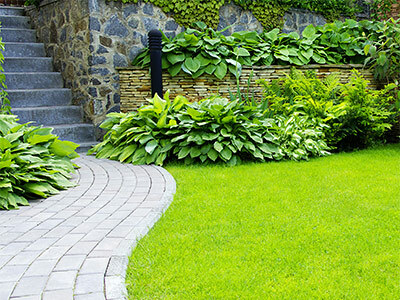 We want you to have the landscape design that is well thought of and that will work best for you and your family. Site analysis - We study and analyze the needs of your property and consider them when creating a design and during landscape installation. We thoroughly understand your requirements in determining changes and necessary alterations in order to provide you not only with a beautiful landscape but also with a more comfortable environment. Landscape preparation and construction - We will prepare all the planting beds, clean your lawn, and level it up to create the best possible landscape for you. We will add topsoil when necessary and we will lay out the plant beds meticulously to create a splendid visual presentation. Also included in our services is the installation of turf in your lawn. We make sure that shrubs and trees are in their perfect locations and we will make use of annual and perennial plants effectively for you to have a gorgeous landscape regardless of the time, season, climate, and situation. Determining environmental requirements - We use fertile topsoil and only the highest quality plants when we do landscape installation. We make sure that we will only install the things that you need and those that can thrive well in your environment. Maintenance of landscape and sustainability of environment. These things are very essential in order to achieve a gorgeous landscape that will meet your needs and expectations, and we at Gilgert's Landscaping can do these all for you wherever you are in California. Call us today!